As the end time of graduation approaches most of the people to have a good sense of whether they are going to continue their education in a post-graduate program or they will enter the jobs. Similar to the undergraduate application process, applying for the graduate programs can be difficult and sometimes frustrating. As there are several tests to take, essays to write and various researches to conduct before you know what you will get in future. But this process can be made easier by preparing in advance for it. First of all, one must have a clear idea about an M.B.A course, i.e. what is it all about, its relevance and then helping to go for it. M.B.A is a ‘Masters’ program, which prepares students for various roles and positions in the ‘Business World’. There are several exams in India which are conducted to take the admissions in MBA programs like CAT, MAT, XAT, SNAP etc. Among all of these CAT is considered as the cornerstone. The aspiring candidates must also prepare and appear for other management entrance examinations so that many opportunities for admission may open up. 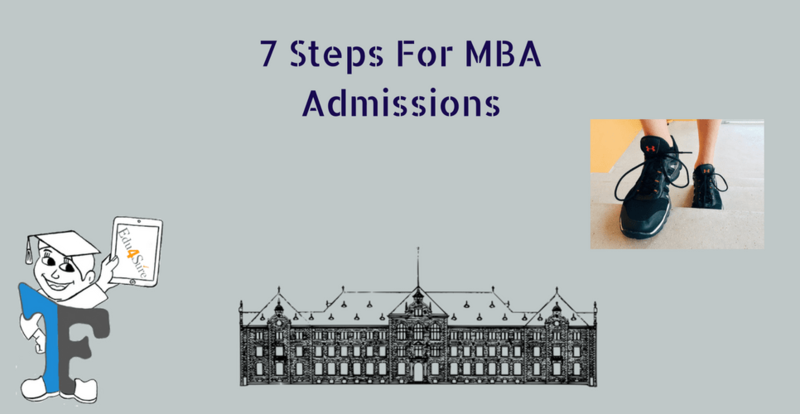 The simple policy of ‘the more, the merrier’ stands true for MBA admissions; in simple words, the number of entrance tests you appear for, the chances of securing a good MBA seat in an elite management institute multiplies greatly. Why do the majority of students and practicing executives join an MBA program? The very first reason is to get a good job with satisfactory remuneration. As the business sphere is very large and diverse, there are several career options and job opportunities for new job seekers. Students with different academic backgrounds are also eligible for admission and there is no bar for any graduate student, with good academic scores. Students with keen interest and passion for entrepreneurship can learn a lot about ‘Business Management’ and can arm themselves with relevant education. One has to very carefully decide the reasons for choosing an M.B.A program. In any case, whatever your reason may be, management education is very stimulating, useful and quite rewarding. It is highly recommended that decision for opting for an M.B.A degree should be taken before completion of the graduate degree or in the very beginning of the professional career, in case you want to acquire some work experience before getting admission. You must prepare a list of the Top 15 or Top 20 Business Schools and others too, alongside their eligibility criterion and the kind of entrance examination to get in. Most of the good schools require students to appear for C.A.T and some for G.M.A.T tests. Command over the English language, i.e. expression, vocabulary, precision, and grammar. Reasoning and Logical ability- this requires basic knowledge of Math and Statistics, besides of course logical thinking in general. Mainly the real focus is to achieve the high score. Also, these skills are needed in your upcoming studies to need to improve the skills is also necessary. During the preparation for them, you should aim to master various areas like reading, writing, speaking, analysis, argumentation, reasoning, quantitative skills, etc. and do all this in English fluently. English is the language of instruction in international Master’s and MBA programmes worldwide. All these skills are really essential for the success in your studies and are also transferable to your professional life after graduation. Just look out for the options beforehand. A good research is needed from your side. Try to find the different programs and colleges and also the entrance exam needed to get there. Even the best B-school won’t help you if your interests aren’t matched with it. Generally, the most effective way for preparation is a combination of guided instruction by a competent instructor, self-study, and practice. It is really important to start your preparation early and plan for at least three or four months before taking a real test. Always remember that learning and planning won’t help if you don’t take the mock test to boost confidence. It will be really helpful just before starting the preparation go for a test, just to see where you stand. It will help you in knowing your potential and your weak areas where you need to give a hard work. Accordingly, you can plan the strategy for the preparation. It will also help you in finding if you need any additional preparation on basics like Mathematical operations and English skills. If you have all the necessary basic knowledge, you can immediately focus just on the entrance test. If the starting level is not sufficient at this stage, you need to start by filling the gaps in. If you are preparing with an instructor, you will get guidance about the available preparation materials. If you chose to study on your own, you need to do some research. There is a large choice of test preparation books, online advice, videos, sample questions and practice tests available. Research and identify which of them cover the latest changes in the tests syllabus and which are most appropriate for your learning style. It is important to know that test takers usually achieve a lower score when they take the actual test compared to what they have achieved on mock tests. When you are working on your own it is important that you set clear targets and monitor your progress time to time in order to ensure that you are getting closer to your set goal. If you are working with an instructor, then he/she will help to keep you on the right track. There are varieties of sources from which students and instructors use sample tests. It is important to select one source as a standard source to check where the progress is going. Also, the mock test should be taken to have an idea about the difficulty level in the actual test and be open to adapting your approach to test preparation if you do not proceed as planned. To keep your concentration during the full test and develop your sense of timing and time management skills. Practicing is usually designed in such a way that as you advance with your preparation – first you practice a single question or a single section at a moment, and finally, you practice the full-length tests within the set time limit. This list clearly is not complete or the best one but is meant to give you a little idea of how-to-go-about-it. A piece of advice-don’t be worried or over-confident. Apart from your inner qualities and talents, serious and focused preparation is needed by all. Also, you have to not only ‘Work Hard’ but also ‘Work Smart’ to get the best out of your efforts. Next articleHow To Set Up An Incubation Centre?